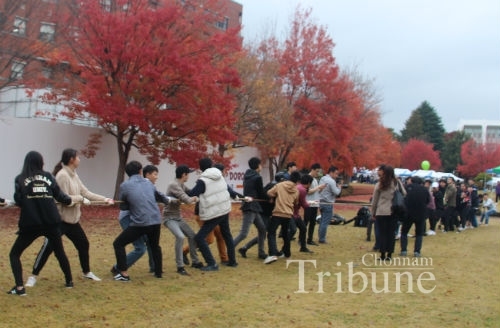 CNU students celebrated the 2018 International Day of the university on November 8. International students from other universities including Mokpo National University and Suncheon National University also participated in the international day festival, organized by the Office of International Affairs on Yongbong campus. 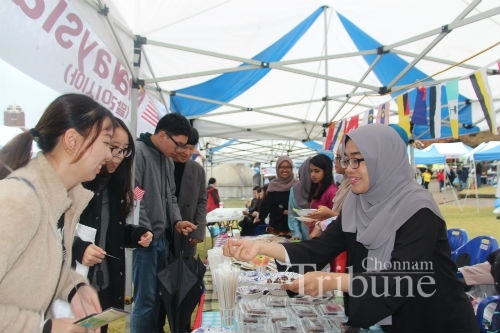 People from various countries set up a cuisine booth such as Korea, Malaysia, China, India, Uzbekistan, and others and they presented their traditional food, snacks, and drinks. Apart from tasting multinational food, students played Korean folk games such as flipping plates, arm-wrestling, tug of war and a con-cap game. Winners were given valuable presents ranging from bottles, headphones, chargers and even bicycles. 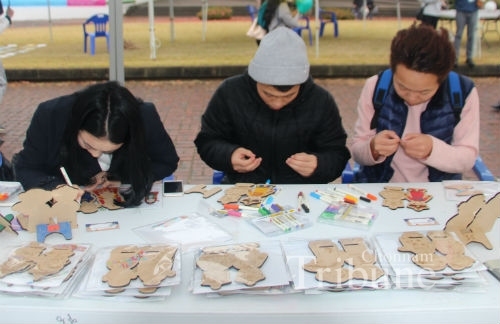 Moreover, cultural experiences like cellphone holder painting, bracelet making, trying multicultural clothes and a photo zone were also held. 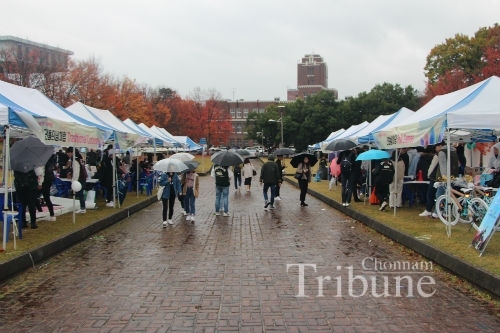 There was also an organized flea market where students could buy affordable priced but quality clothes. An international atmosphere of uniting, sharing and joy was easily noticeable at first glance. Although the weather was rainy and cloudy, students had a great time enjoying fun activities, delicious food and making great memories.